Did you know Austin, Texas receives an average of 32 - 36 inches of precipitation each year? If not channeled properly, this rainwater can inflict damage to your roof, siding, foundation, and landscaping. Professionally installed and maintained gutters help protect your home and prevent flooding. 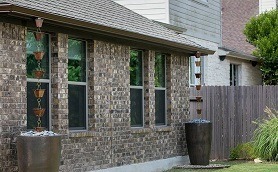 The heavy rains in Texas require sturdy gutters that withstand the water and winds. You'll also want a gutter system that resists water and dirt buildup. 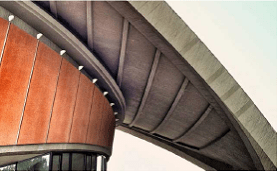 For these reasons, we are exclusive carriers of the AqueDUCT® Rain and Gutter system. Downspouts direct water where you want it to go - away from your home, into a garden bed, or a rain collection system such as a Rain Barrel. You can also enjoy a beautiful water feature, called a Rain Chain, as a decorative alternative to a downspout. An experienced Gutter Tex carpenter will repair or replace rotted, damaged trim or siding on your home's exterior. Left unattended, wood rot allows moisture, drafts, or pests into your home. We will restore your trim and siding to health. 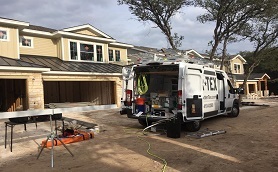 The team at Gutter Tex brings more than 15 years of combined service to the Austin, Texas area in construction and home improvement services. Using the exclusive AqueDUCT Rain and Gutter protection system, Gutter Tex creates and installs seamless gutters to match your exact home style and measurements. No need for long waits and custom orders to get the perfect match. The only trace we leave is a job well done! Review and approve your custom proposal. Our team will arrive on time, as agreed. We will deliver superb results, on-budget. We respect your property and clean the job site. Clogged gutters can cause your gutter system to fail, resulting in damage to your home. But cleaning them can be a dangerous and time-consuming chore. Count on us for safe, professional gutter cleaning and repair. Controlling the flow of rainwater runoff from your roof is an important part of protecting your home. Soil expands when it absorbs water, and contracts when it dries out. The shape of your roof causes more rainwater to run off on some sides of your home than others, causing the soil to expand unevenly. This uneven expansion and the resulting contraction is the leading cause of foundation damage. Another issue caused by rainwater runoff is splashback. As the falling water hits the ground, it impacts and displaces the soil at the base of your home. This harms any plants you might be growing and throws dirt onto the siding of the building. It also creates a depressed area in the ground where water can collect and stand. This is called ponding. The standing water is unattractive and attracts insects like mosquitos, termites, ants, and roaches. Rain gutters take the rainwater runoff from your roof and transport it away from your foundation, so the soil can expand evenly and your landscape can remain intact. They can also help you save and reuse all that water, helping you maintain your landscaping during a drought without running up your water and sewer bill. Foundation repair can be expensive. Rain gutters are not. A seamless rain gutter system may only be a fraction of the repair cost. Being proactive can save you from costly and tiresome repairs later. Would you rather spend a few days repairing your foundation, or a few hours having rain gutters installed? We will come to your home and provide a free detailed in-home estimate for all of your gutter and exterior carpentry needs. Book online or call and chat with us at 512-410-0290.